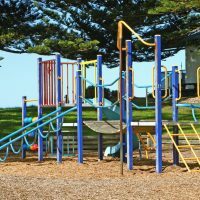 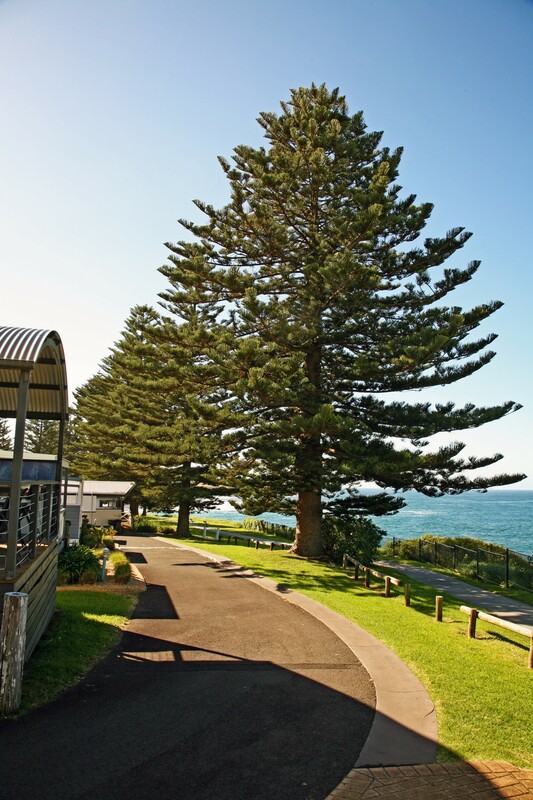 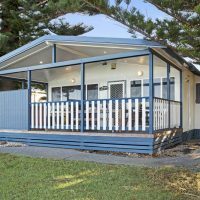 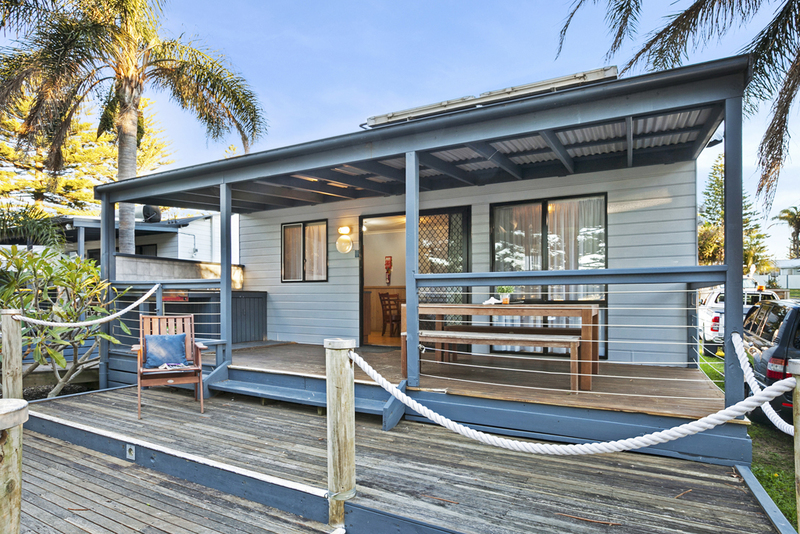 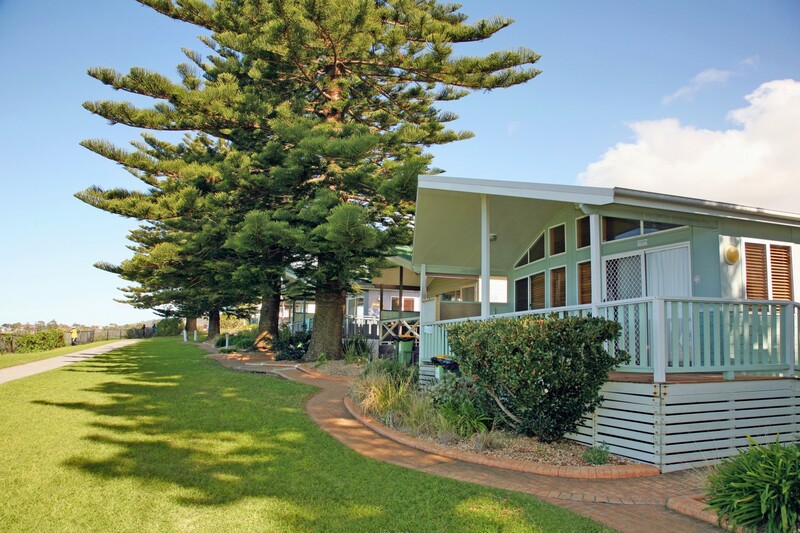 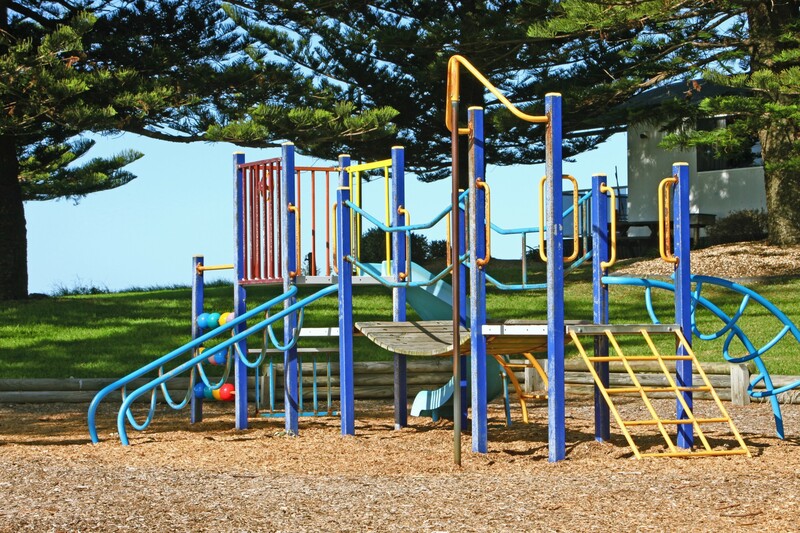 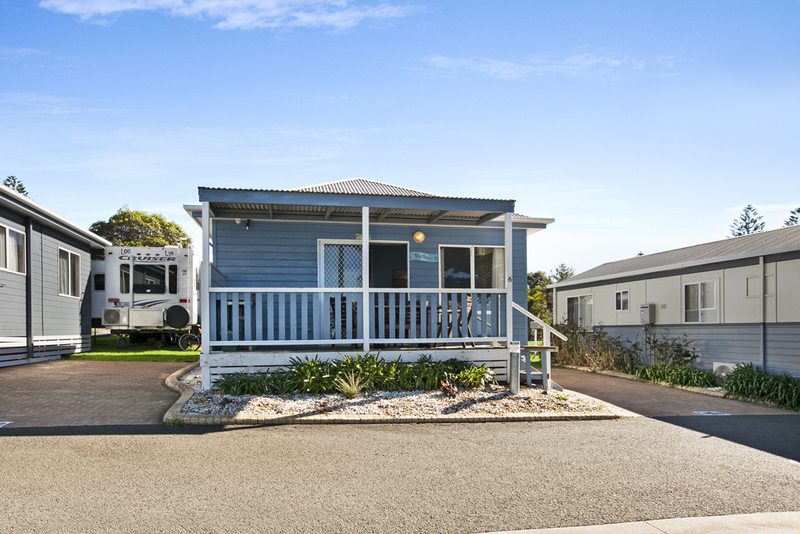 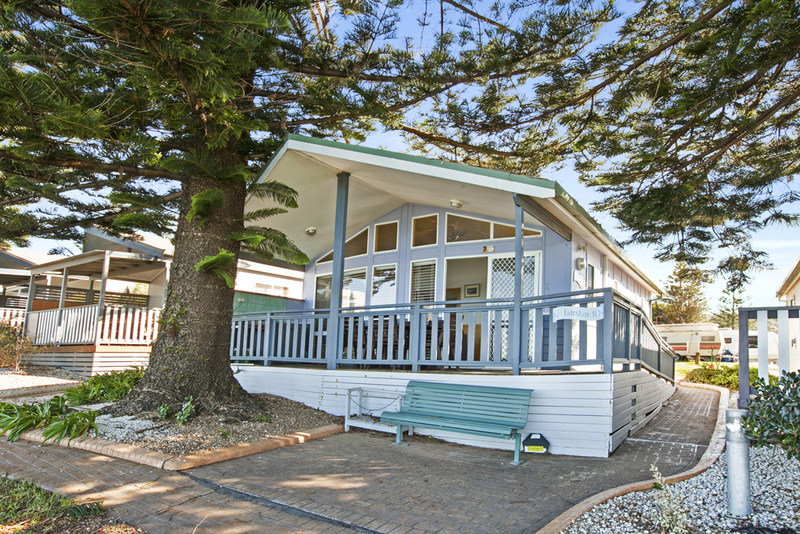 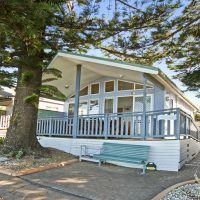 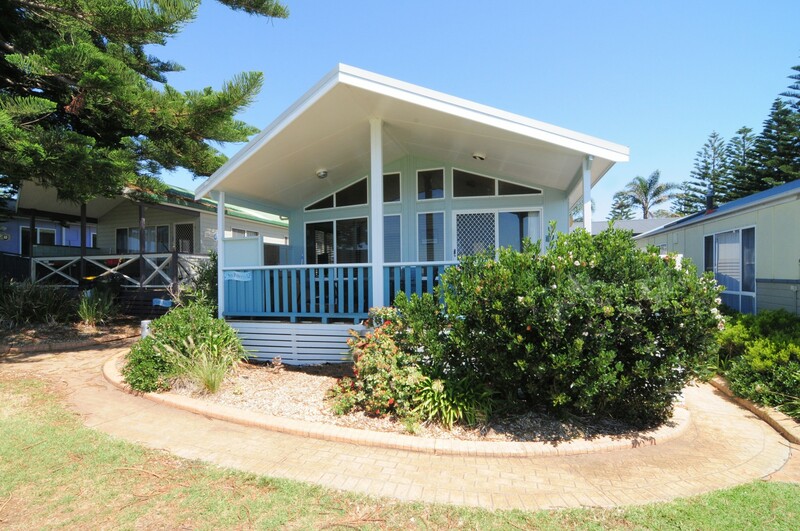 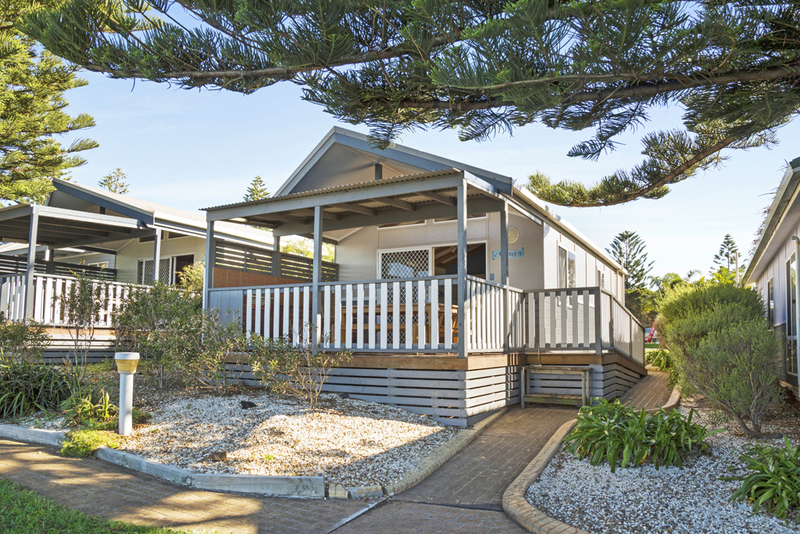 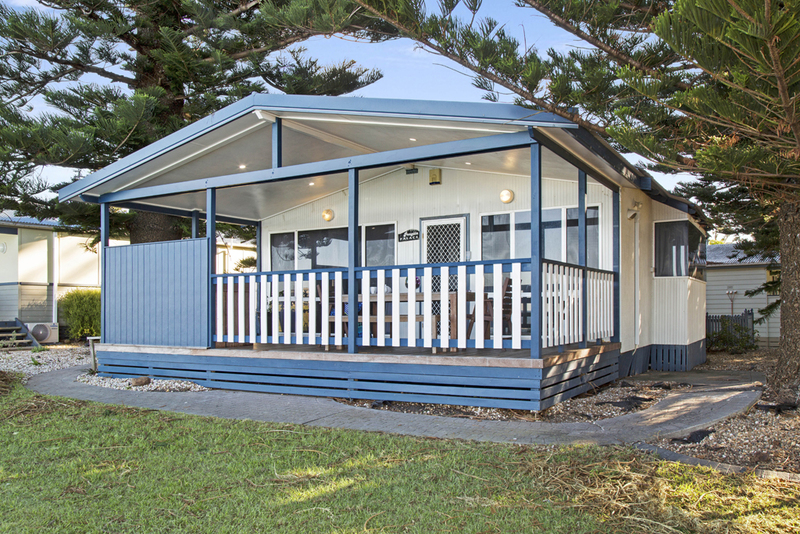 Surf Beach Holiday Park is modern, beautifully furnished, well-appointed and fully self-contained. 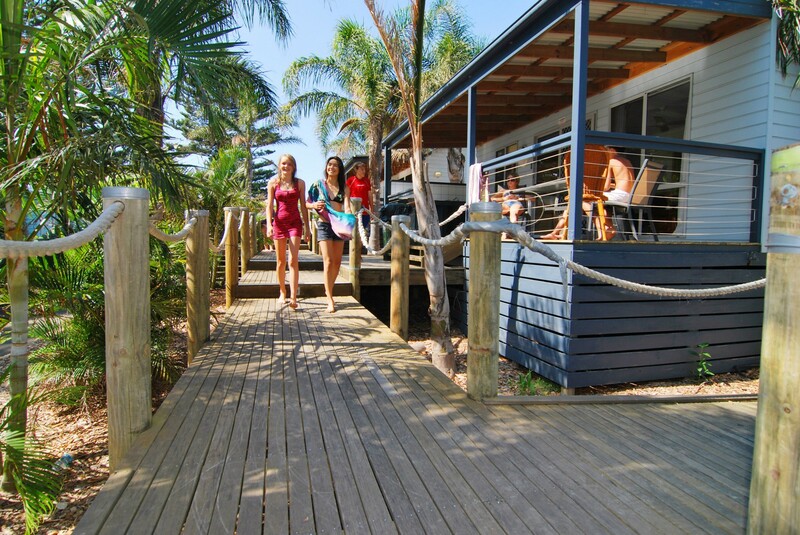 2 Bedroom spa cabins that sleeps up to 5 people. 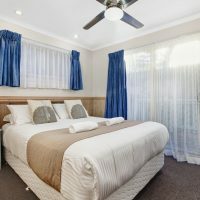 Main Bedroom – Queen size bed, bedside tables, TV. 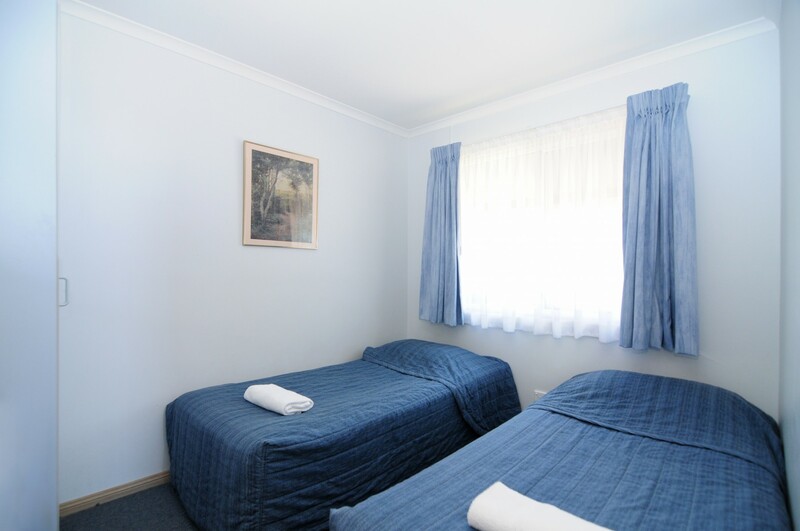 Second Bedroom – Three single beds (2 bunk style) and wardrobe. 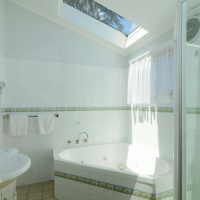 Bathroom – Large shower over single person spa bath, vanity, toilet. 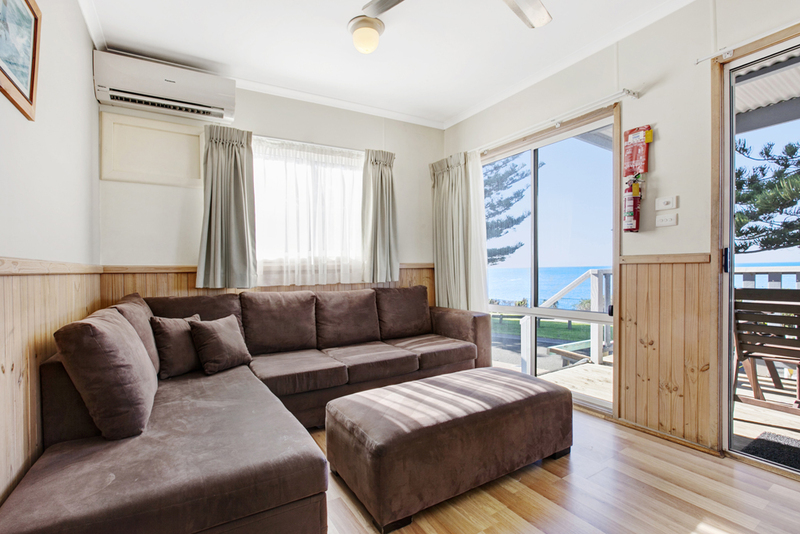 Lounge/ Dining – double lounge, single lounge chair, coffee table, round dining table, TV, video, air conditioner. 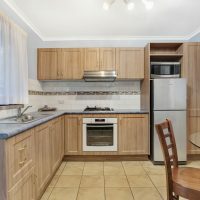 Kitchen – microwave, full size refrigerator, gas stove, oven. 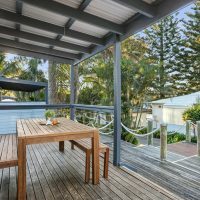 Balcony – outdoor setting, sink, barbeque. 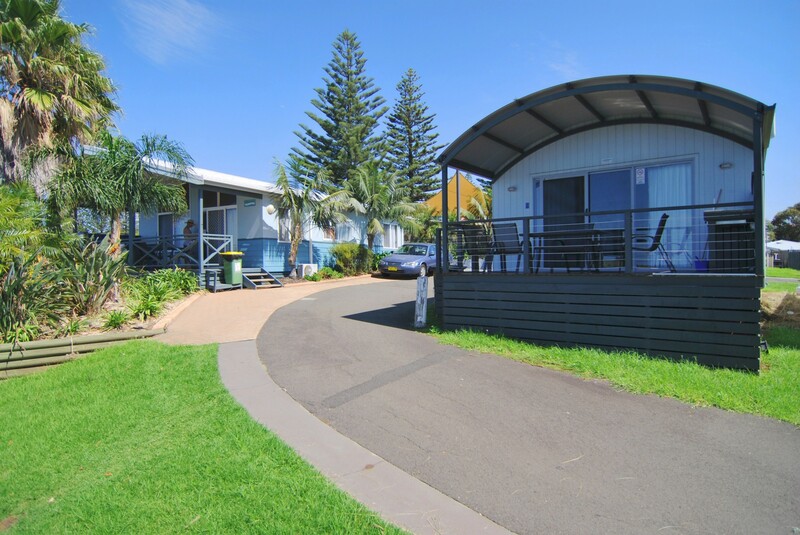 Plus a huge boardwalk across all 4 units. 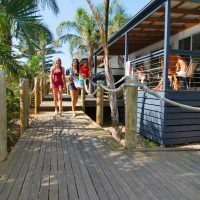 2 Bedroom spa cabins that sleeps up to 5 people. 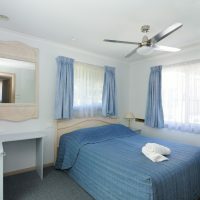 Main Bedroom – Queen size bed, mirrored wardrobe, bedside tables, TV. 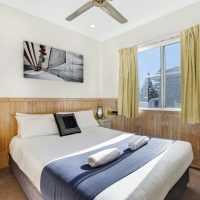 Second Bedroom – single bunk over double bed. 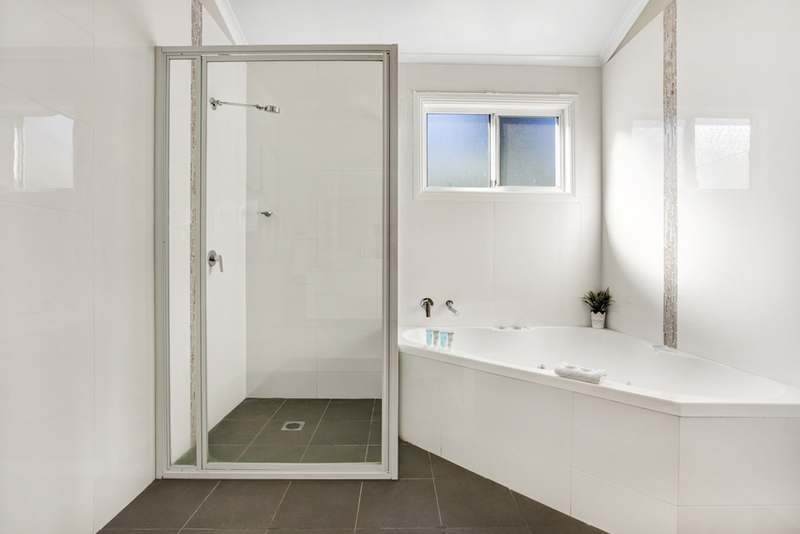 Bathroom – spa, shower and vanity, separate toilet. 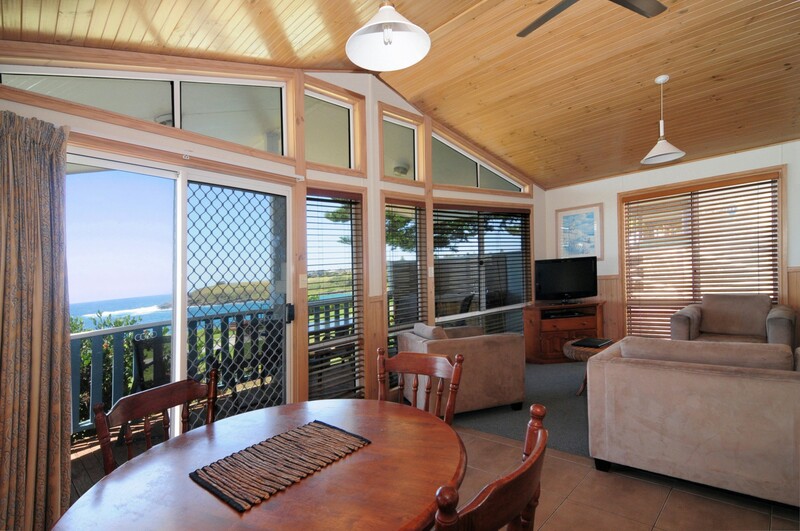 Lounge/ Dining – double lounge, 2 single lounge chairs, round dining table, TV, video, air conditioner and ceiling fan. 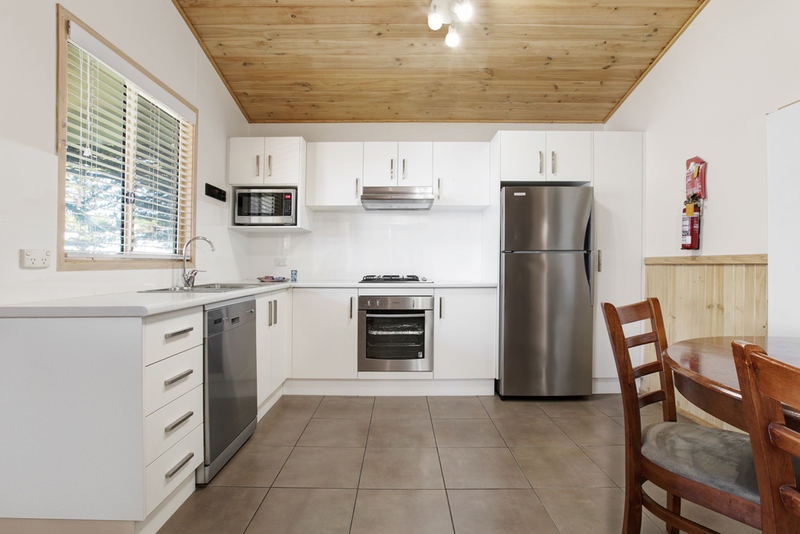 Kitchen/Laundry – microwave, full size refrigerator, gas stove, oven, dishwasher concealed, washing machine and dryer. 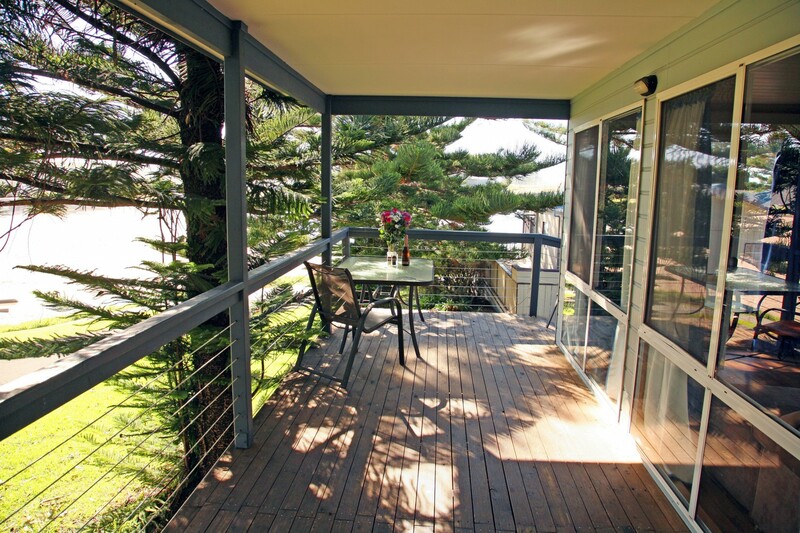 Balcony – ramp & deck with outdoor setting, sink, barbeque. 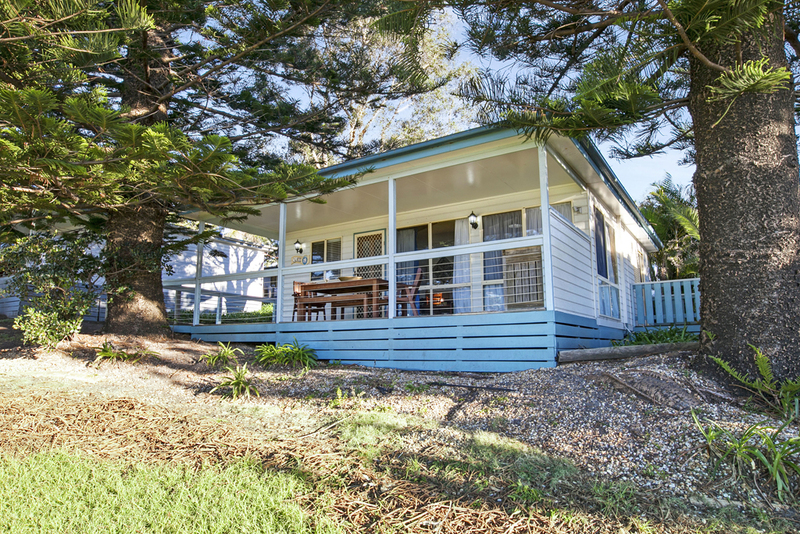 A delightful two bedroom cabin that sleeps up to 5. 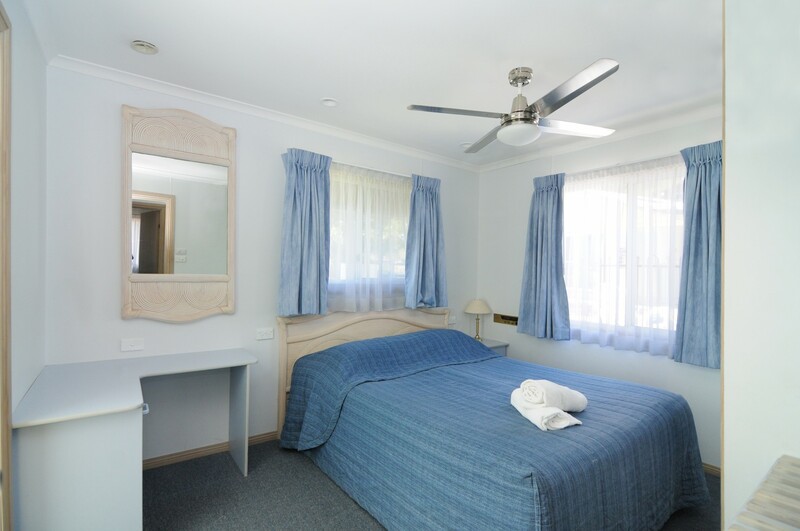 Main Bedroom – queen bed, mirrored wardrobe, bedside tables, colour TV. 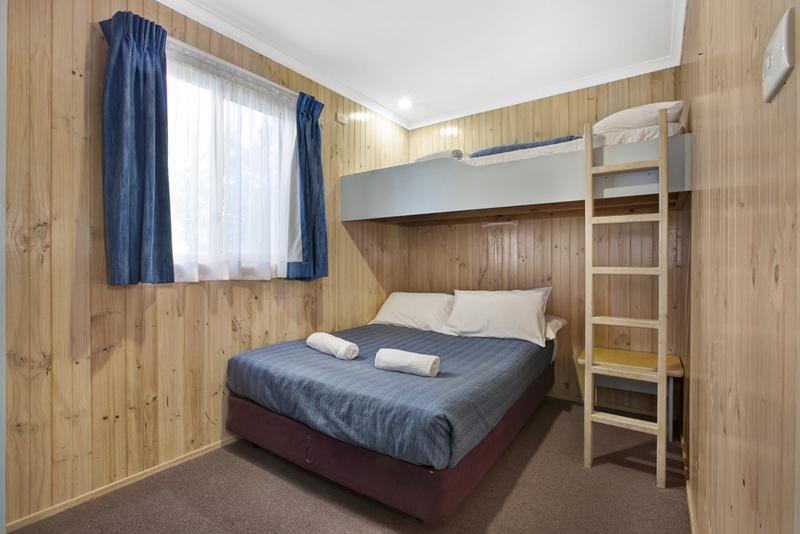 Second Bedroom – single bunk over double bed, wardrobe. 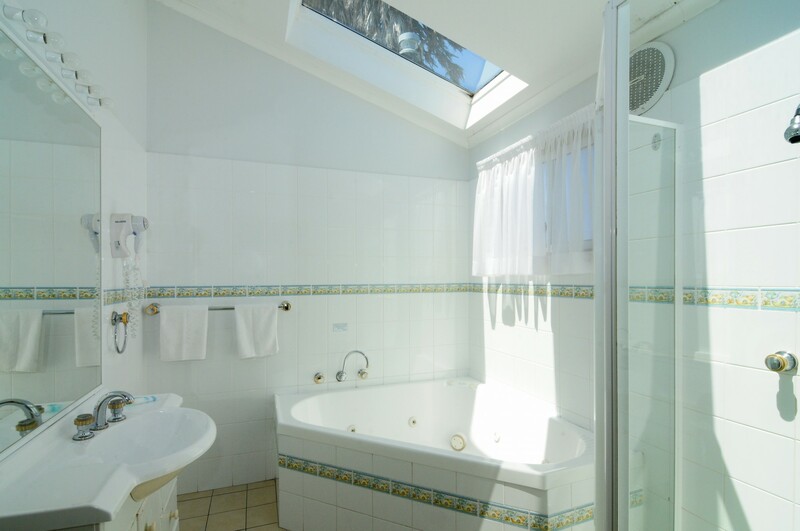 Bathroom – large spa, shower, vanity, separate toilet. 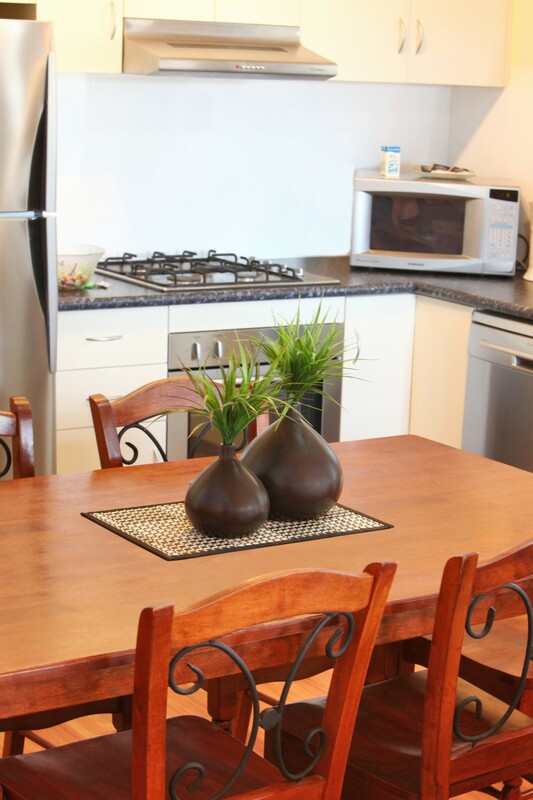 Lounge/Dining – two double lounges, coffee table, round dining table (seats 5), r/c air conditioning, TV, video. 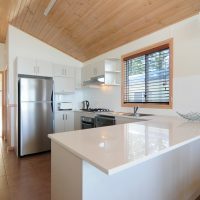 Kitchen – microwave, full size refrigerator, gas stove, oven. 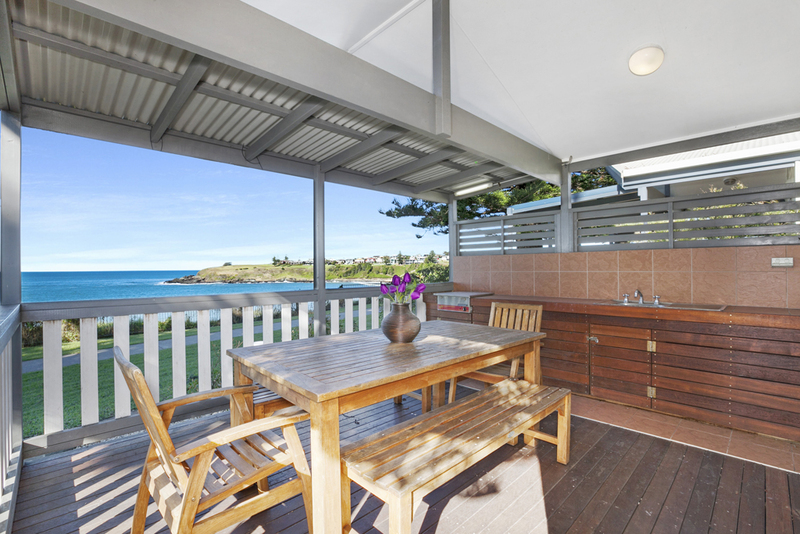 Balcony – table & 5 chairs, sink, BBQ. 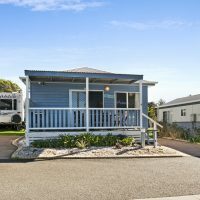 2 bedroom spa cabin that sleeps up to eight. 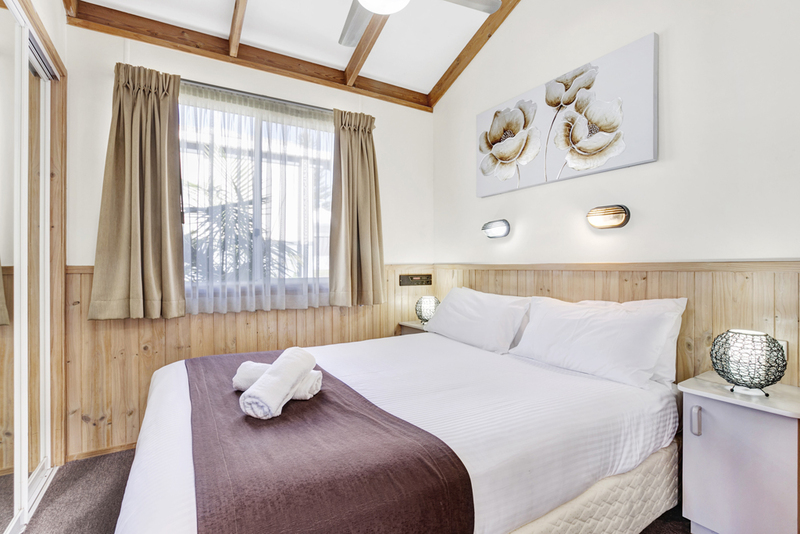 Main Bedroom – queen size bed, mirrored wardrobe, bedside tables, TV. 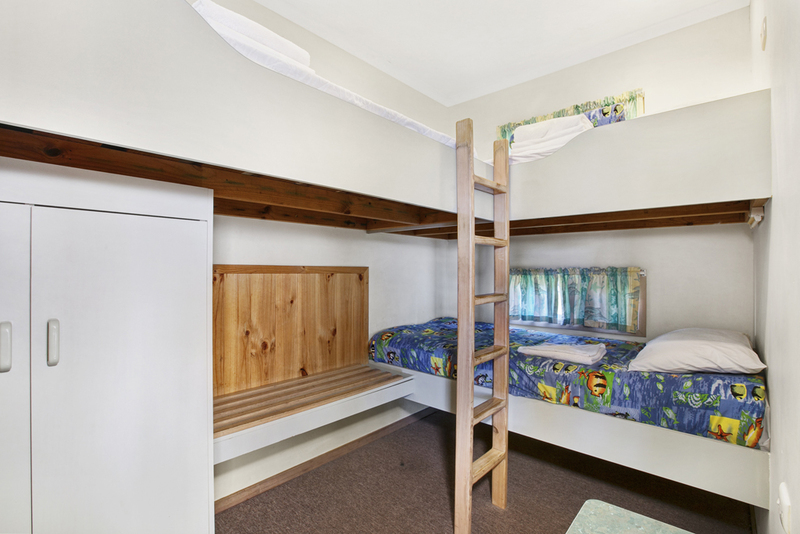 Second Bedroom – four single bunk style beds, skylight. 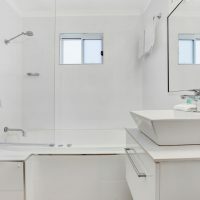 Bathroom – spa, shower and vanity, separate toilet. 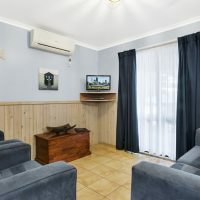 Lounge/Dining – double lounge, two single lounge chairs, gas tire, TV, video, dining table & chairs, ceiling fan & air conditioner. 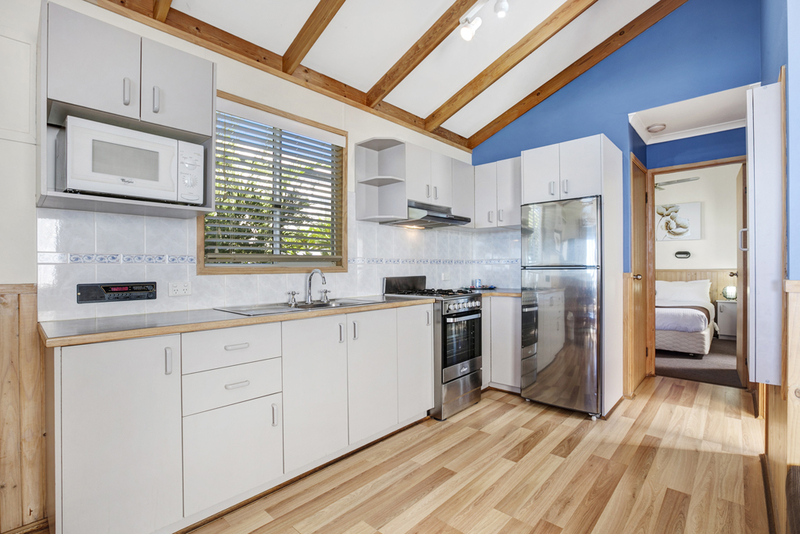 Kitchen/Laundry – microwave, full size refrigerator, gas stove, oven, dishwasher, concealed washing machine & dryer. 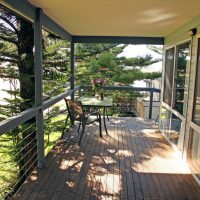 Balcony – ramp & deck with outdoor setting, sink, BBQ. 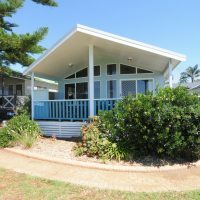 Superior quality two bedroom cabin that sleeps 4. 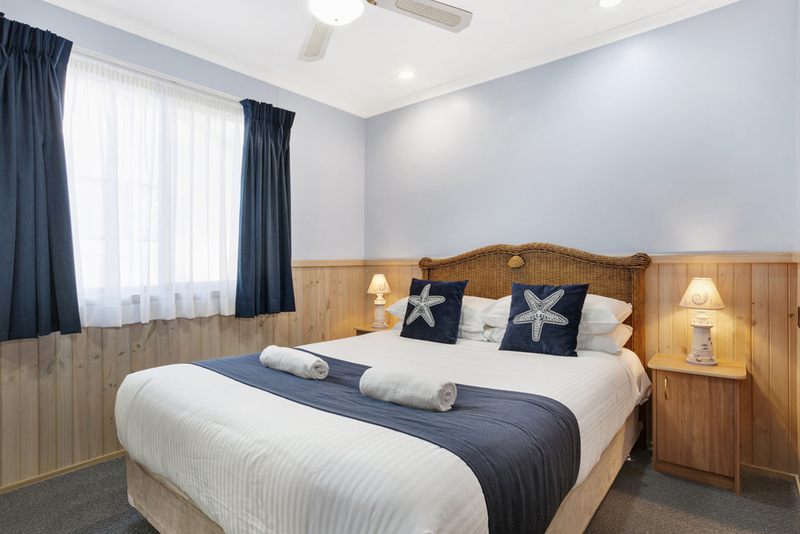 Main Bedroom – king size bed, bedside tables, dressing table, mirrored wardrobe, TV. 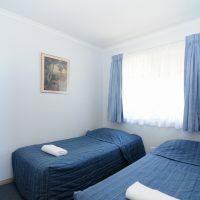 Second Bedroom – twin king single beds, wardrobe, bedside table, TV, concealed ironing centre. 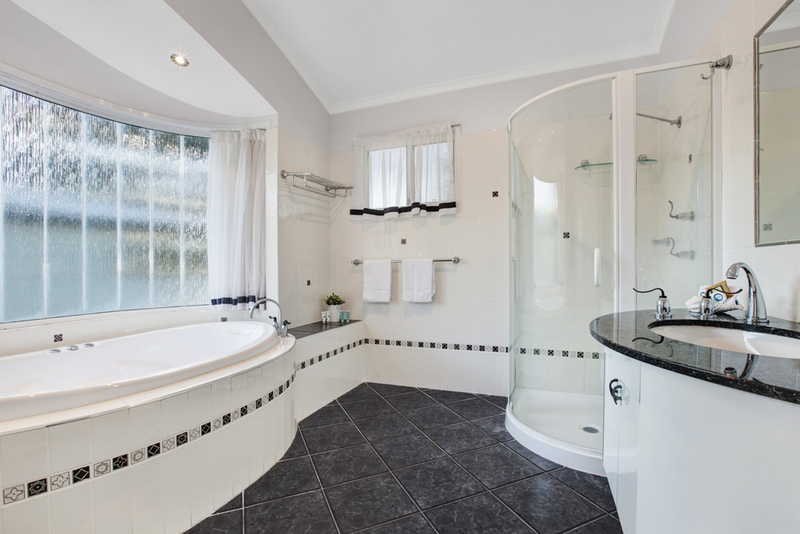 Bathroom – large spa, shower, vanity, separate wc. 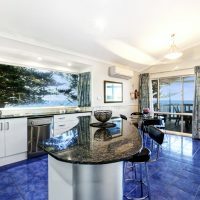 Lounge/Dining – glass topped dining table & chairs, 2 seater lounge, 2 reclining lounge chairs, coffee tables, gas log fire, r/c air conditioner, TV, video. 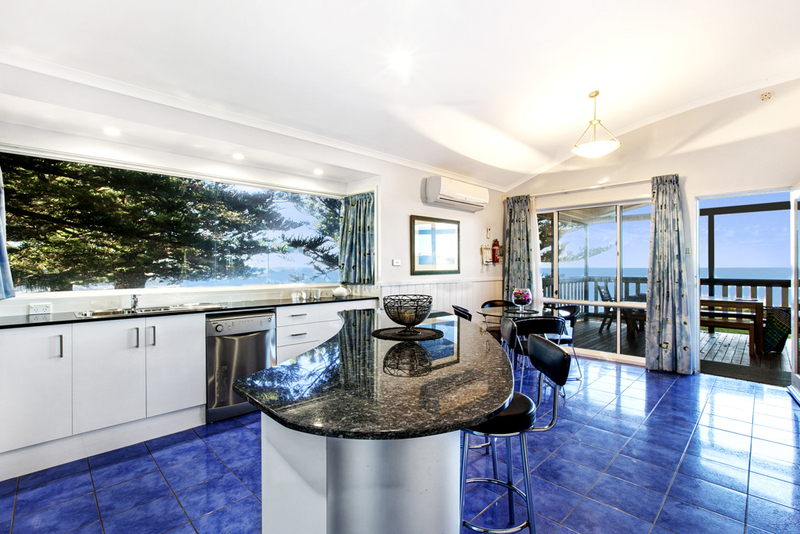 Kitchen – microwave, full size refrigerator, gas stove, oven, dishwasher, granite topped island/breakfast bar & stools. 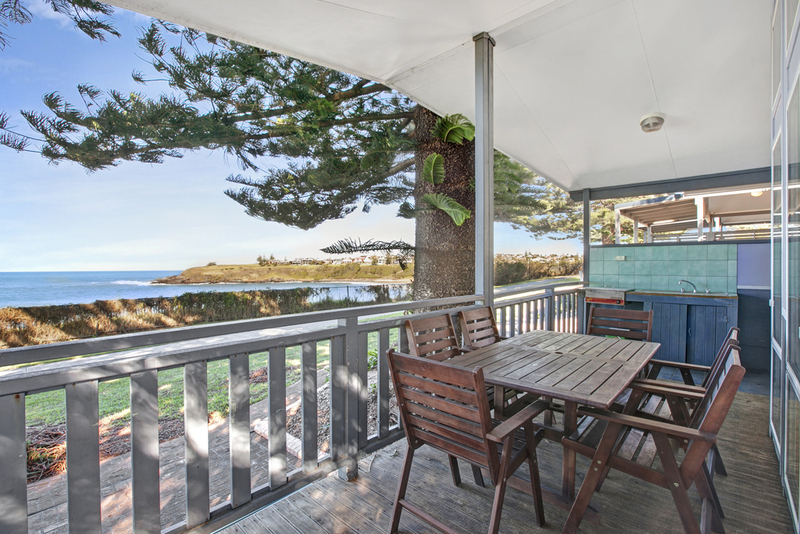 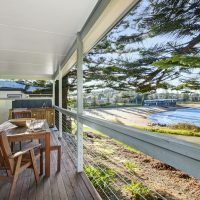 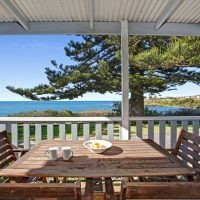 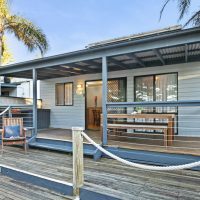 Balcony – outdoor setting for 6, BBQ on verandah. 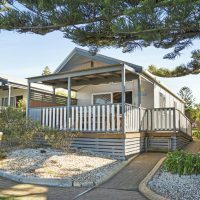 One bedroom spa cabin – ideal for a romantic getaway. 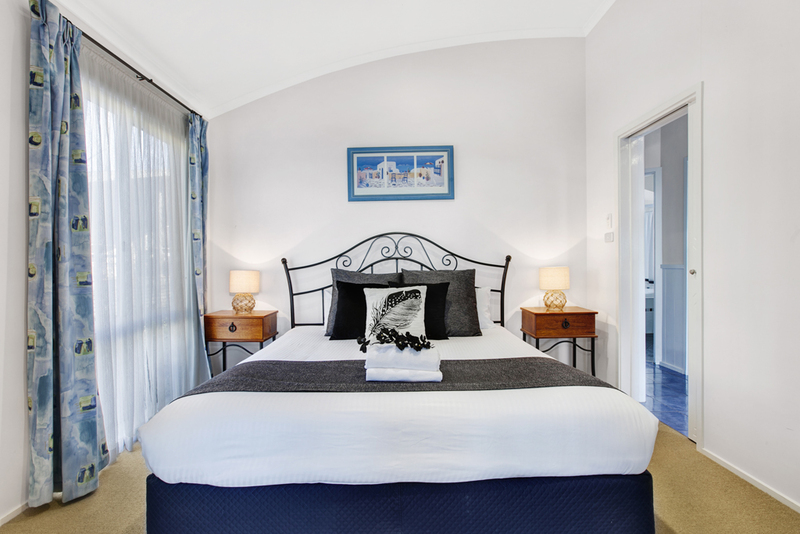 Main Bedroom – queen bed, mirrored wardrobe, bedside tables, TV, balcony. 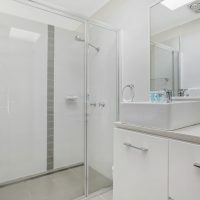 Bathroom – large corner spa, shower, vanity and separate WC. 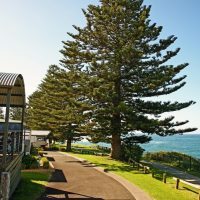 Laundry – washing machine and dryer. 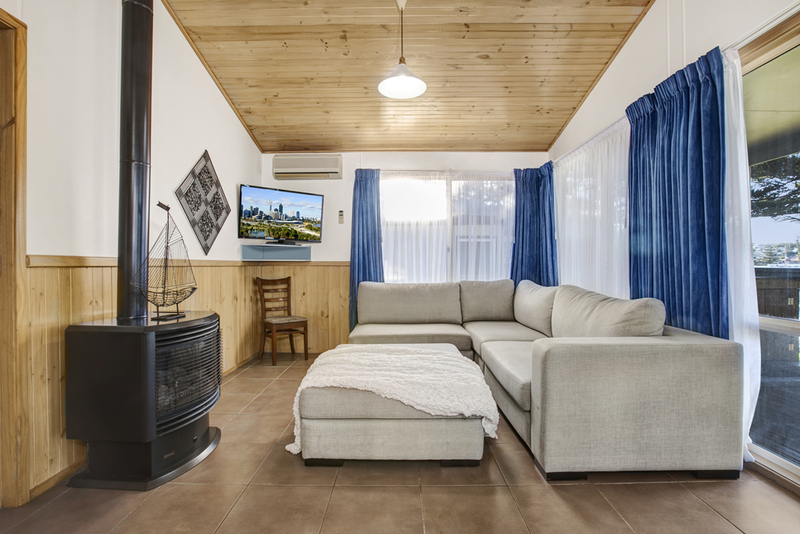 Lounge/Dining – double lounge (converts to sofa bed), single lounge chair, coffee table, gas fire, TV, video, round dining table (seats 4), ceiling fan, air conditioning. 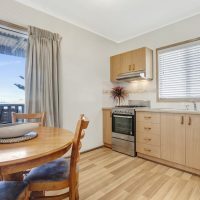 Kitchen – microwave, full size refrigerator, gas stove, oven, dishwasher. 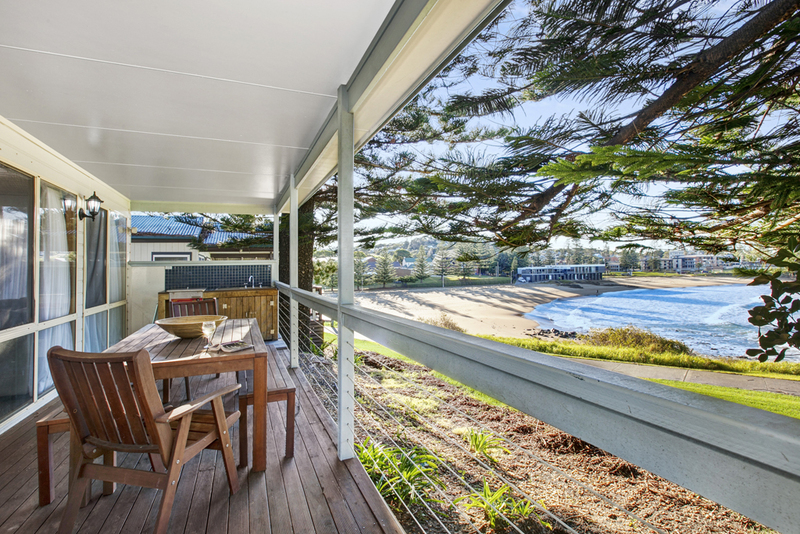 Balcony – table & 5 chairs, sink, BBQ. 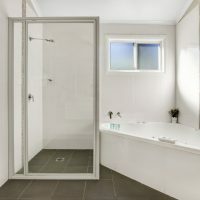 2 Bedroom spa cabin that sleeps up to 5 people. 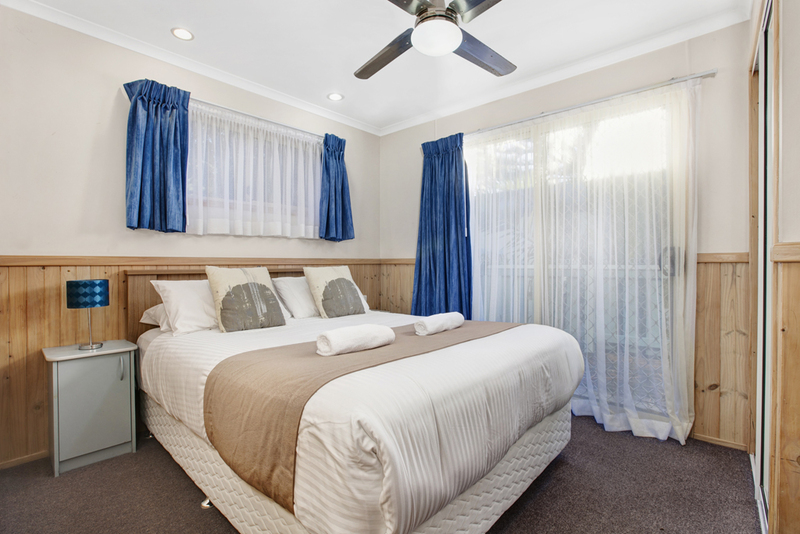 Main Bedroom – Queen size bed, mirrored wardrobe, bedside tables, TV. 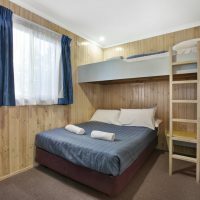 Second Bedroom – single bunk over double bed. 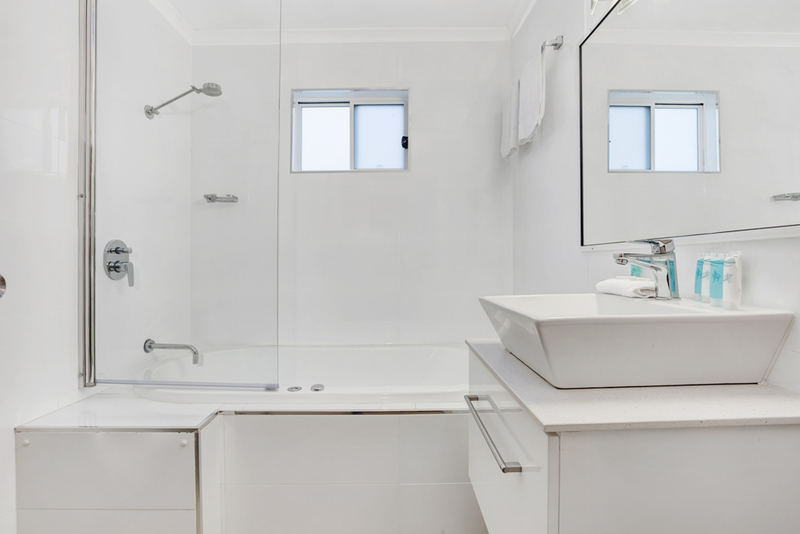 Bathroom – spa, shower and vanity, separate toilet. 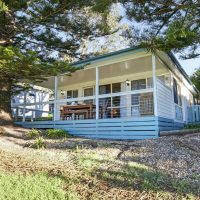 Lounge/ Dining – double lounge, 2 single lounge chairs, gas fire, round dining table, TV, video, reverse cycle air conditioning and fan. 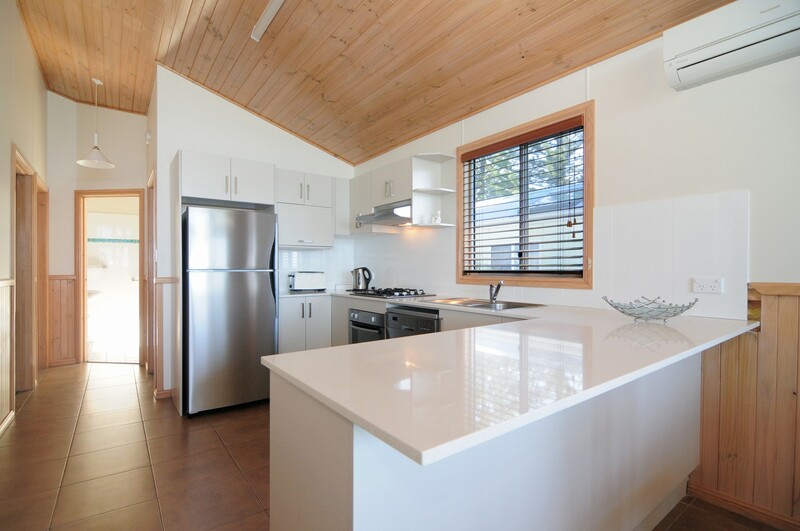 Kitchen – microwave, full size refrigerator, gas stove, oven, dishwasher. 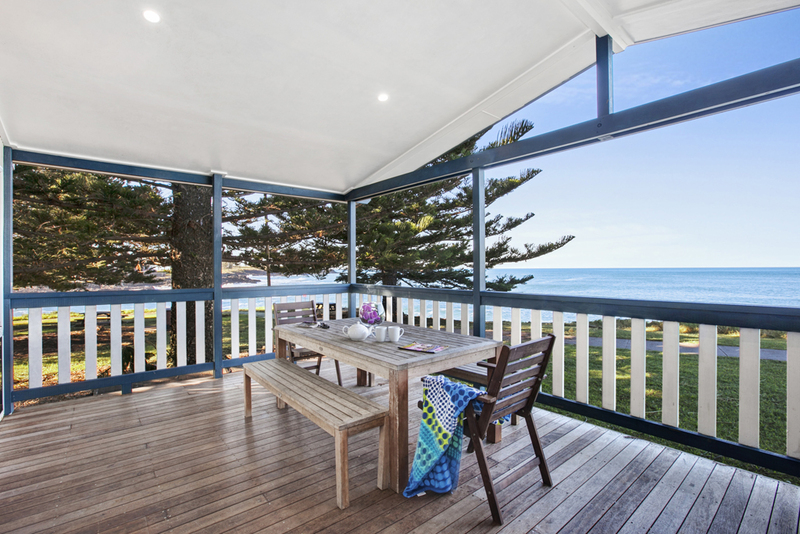 Balcony – table & 5 chairs, BBQ, sink. 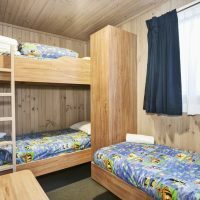 2 bedroom cabin that sleeps up to 6 people. 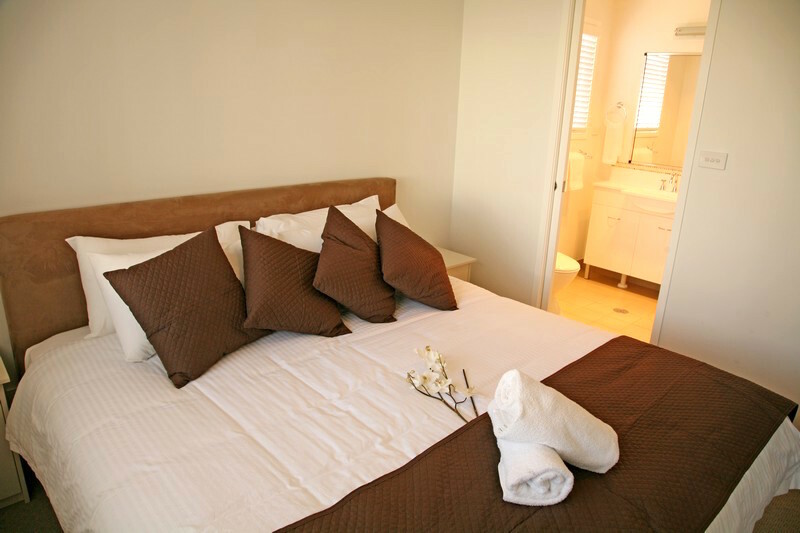 Main Bedroom – queen size bed, mirrored wardrobe, bedside tables, TV. 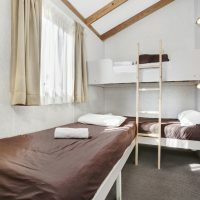 Second Bedroom – four single beds (bunk style). 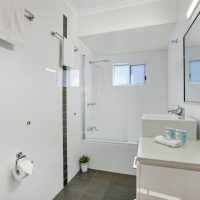 Bathroom – shower, vanity and toilet. 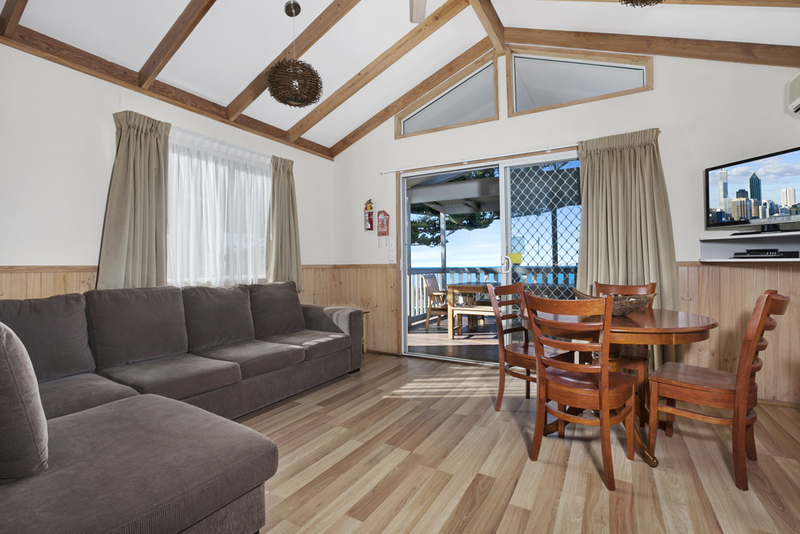 Lounge/Dining – double lounge, colour TV, video, round dining table (seats 5), ceiling fan, air conditioning. 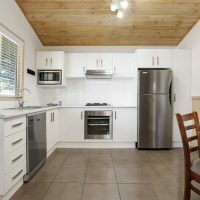 Kitchen – microwave, full size refrigerator, gas stove, oven. 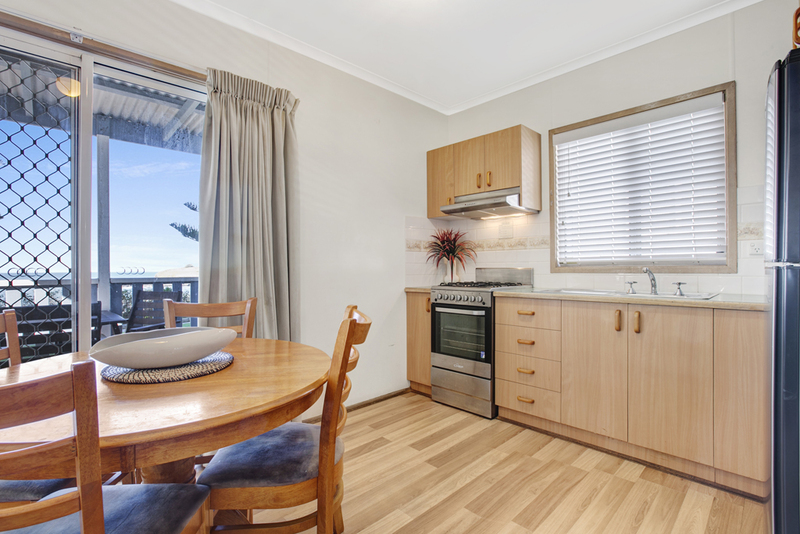 Balcony – table & 5 chairs, barbeque, sink. 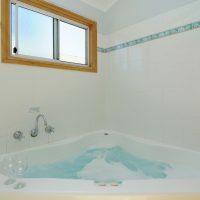 2 bedroom spa cabin sleeps up to 4 people. 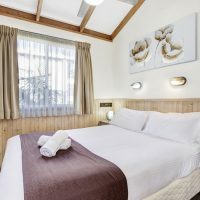 Main Bedroom – queen size beds, mirrored wardrobe, bedside tables, TV. 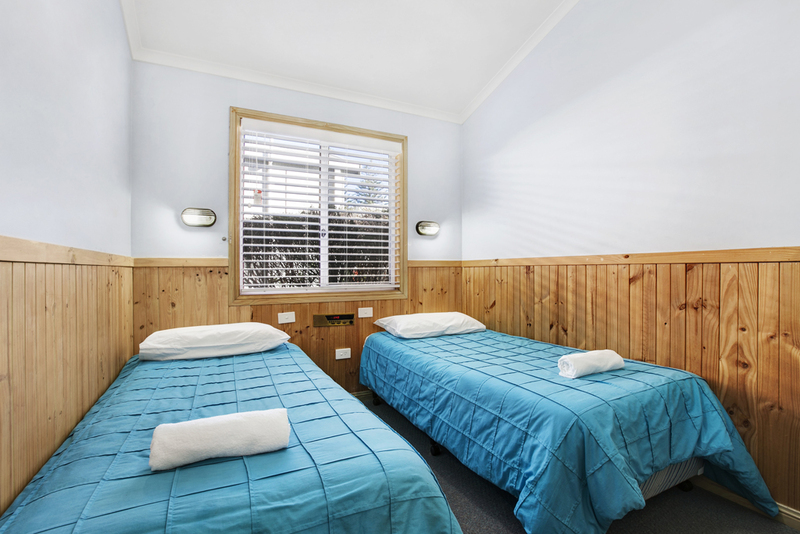 Second Bedroom – twin beds, wardrobe and luggage rack. 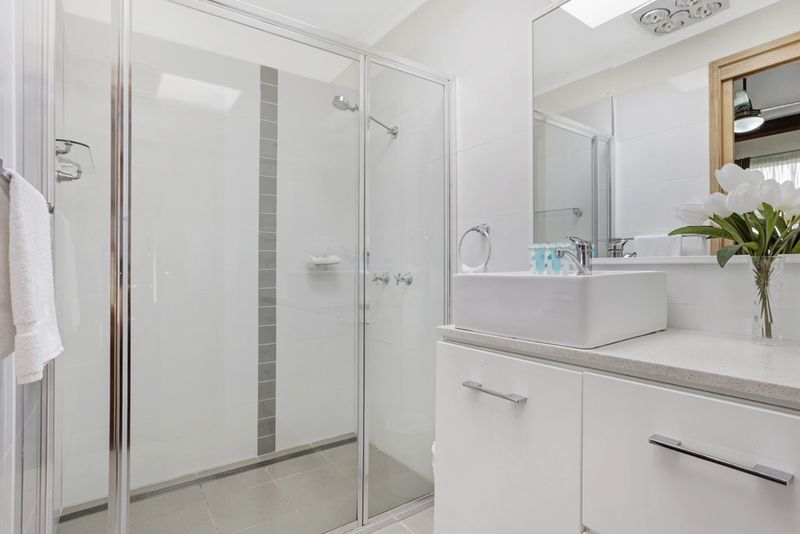 Bathroom – spa, shower and vanity, separate toilet. 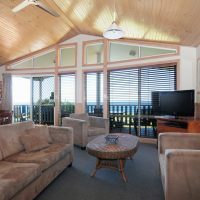 Lounge/Dining – double lounge, two single lounge chairs, gas fire, TV, video, round dining table (seats 5), fan, air conditioner. 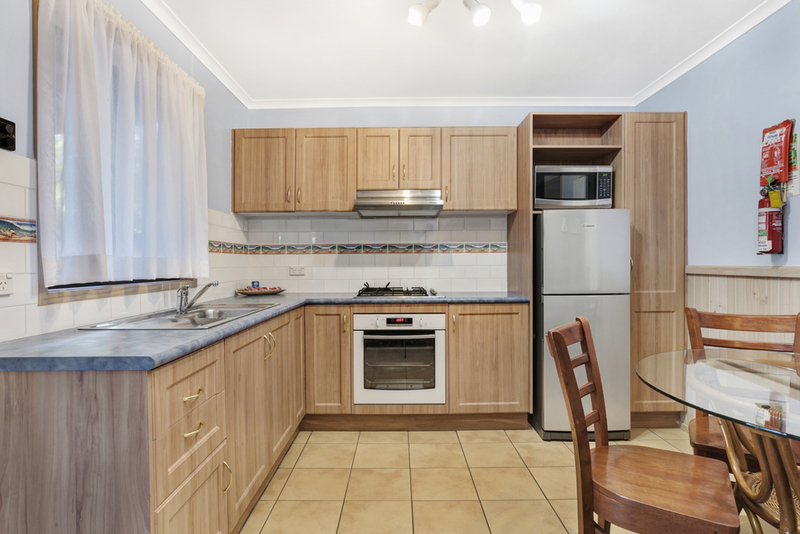 Kitchen – microwave, full size refrigerator, gas stove, oven, dishwasher. 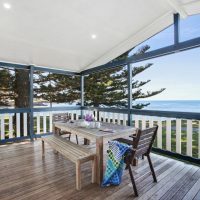 Balcony – table with 5 chairs, barbeque, sink. 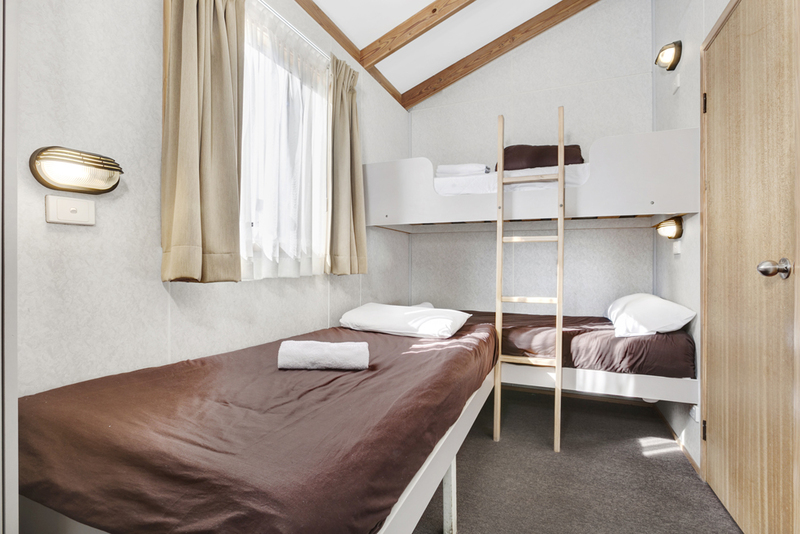 Two bedroom cabins that sleep up to 5 people. 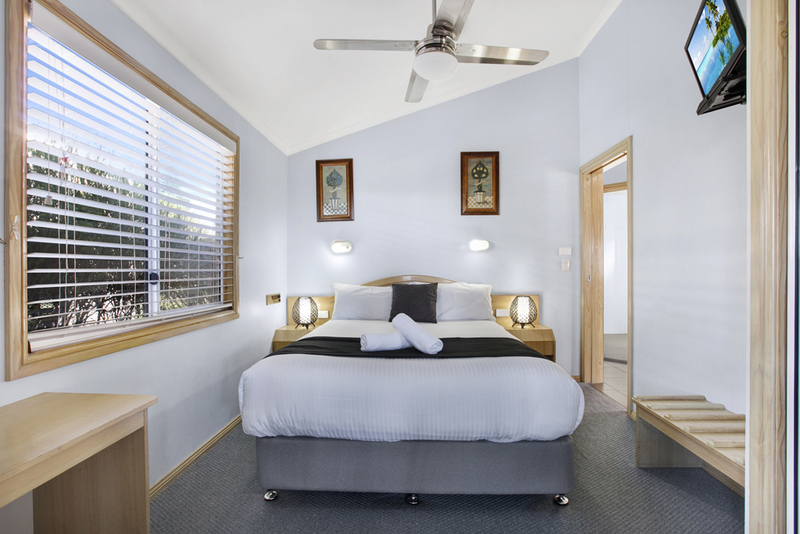 Main Bedroom – queen size bed, mirrored wardrobe, bedside tables, TV. 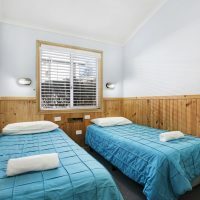 Second Bedroom – 3 single beds (2 bunk style), and wardrobe. 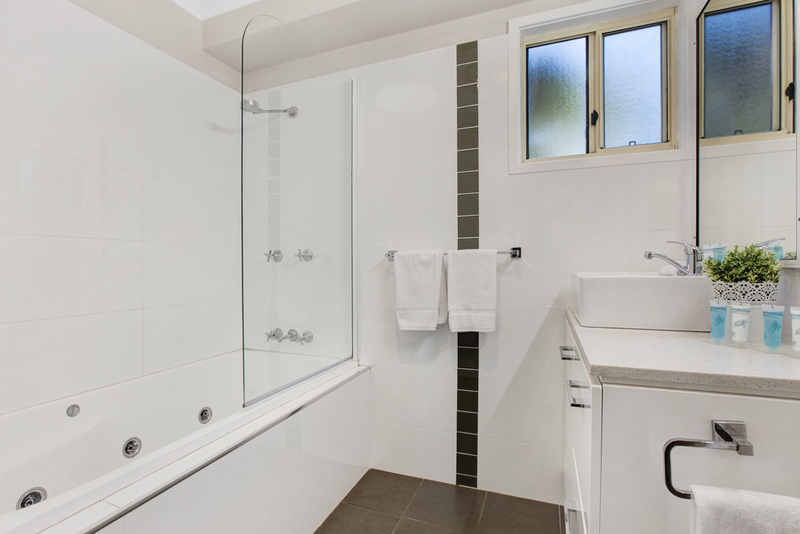 Bathroom – double shower, vanity, separate toilet. 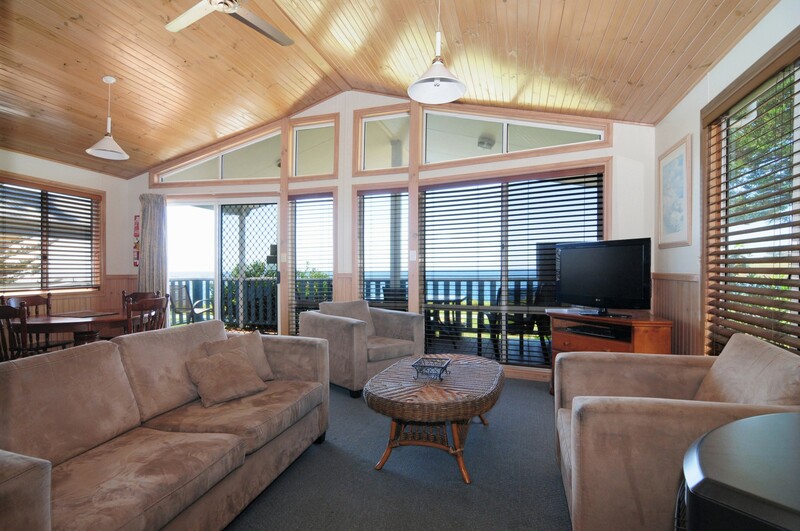 Lounge/Dining – large lounge, TV, video, round dining table (seats 5), ceiling fan, air conditioner. 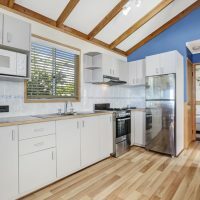 Kitchen – microwave, full size refrigerator, stove. 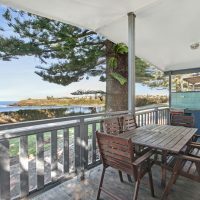 Balcony – table & 5 chairs, BBQ, sink. 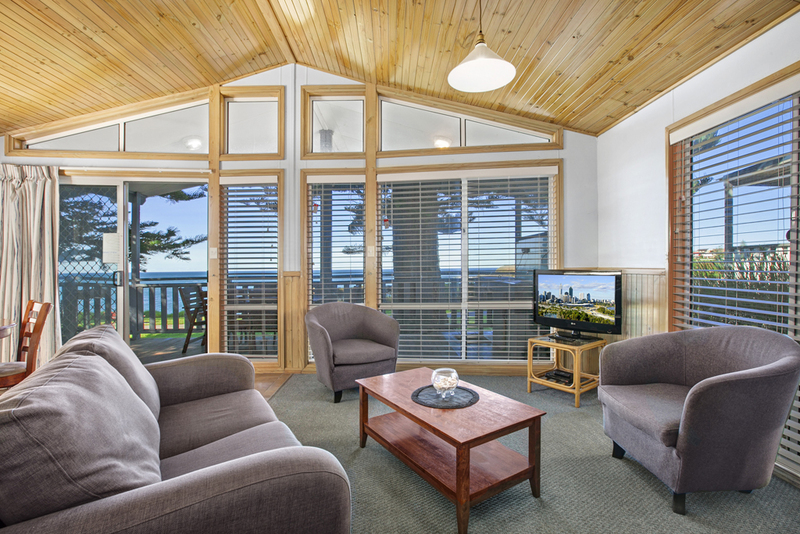 Two bedroom cabins that sleep up to 5 people. 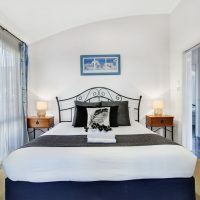 Main Bedroom – queen size bed, mirrored wardrobe, bedside tables, TV. 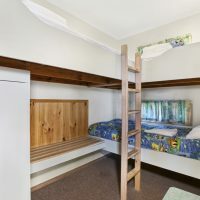 Second Bedroom – 3 single beds (2 bunk style), and wardrobe. 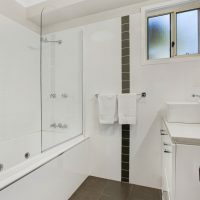 Bathroom – shower over bathtub, vanity, separate toilet. 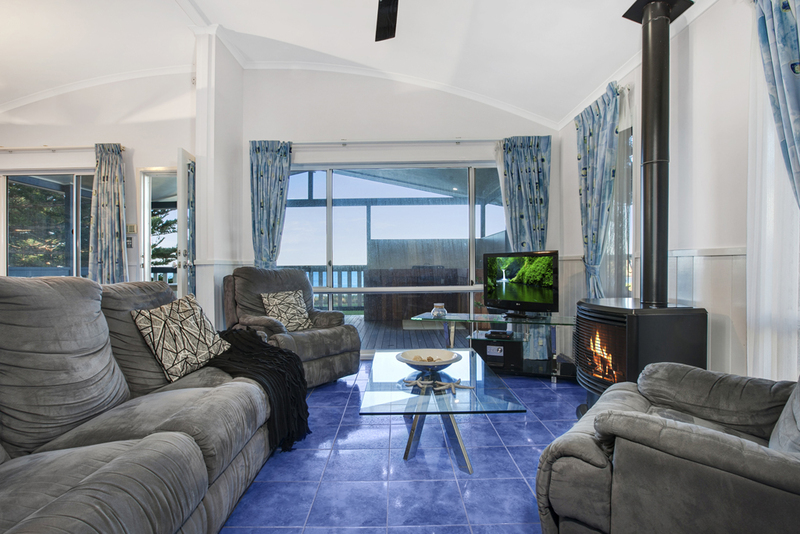 Lounge/Dining – lounge with chaise, coffee table, round dining table (seats 5), air conditioning, TV, video. 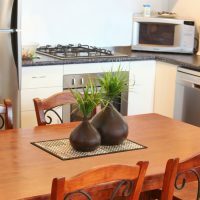 Kitchen – microwave, full size refrigerator, gas stove, oven. 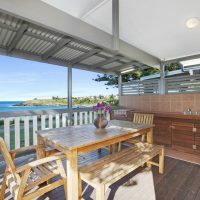 Balcony – table & 5 chairs, BBQ, sink. 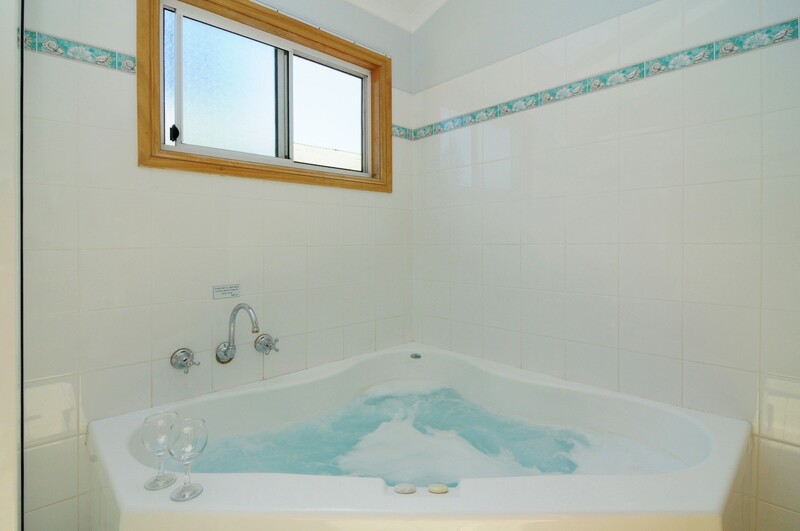 2 bedroom spa cabin sleeps 6. 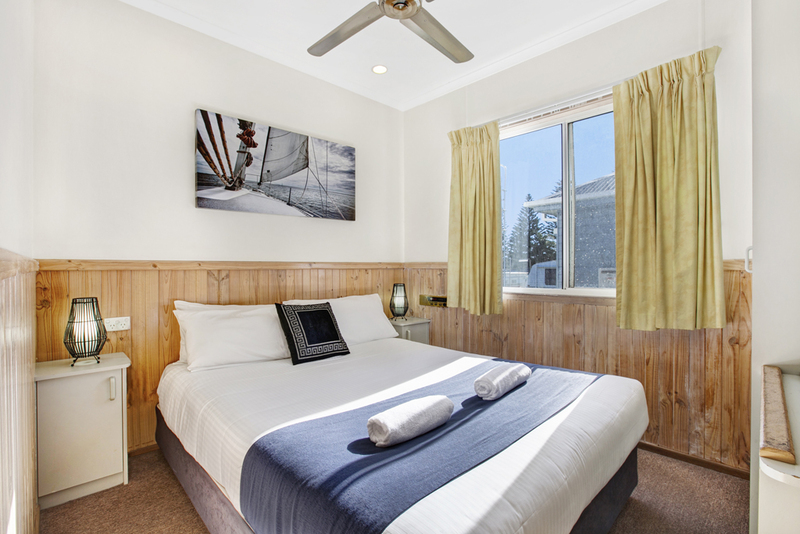 Main Bedroom – queen size bed, mirrored wardrobe, luggage rack, bedside tables, TV. 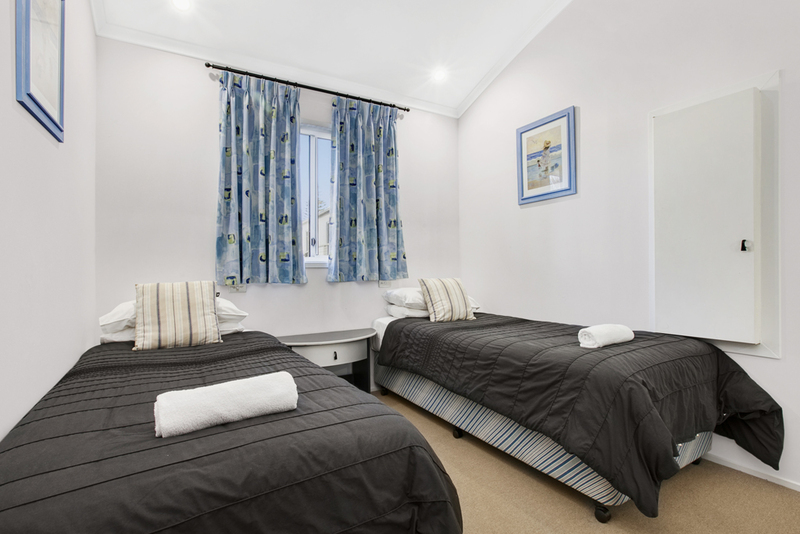 Second Bedroom – twin beds, wardrobe. 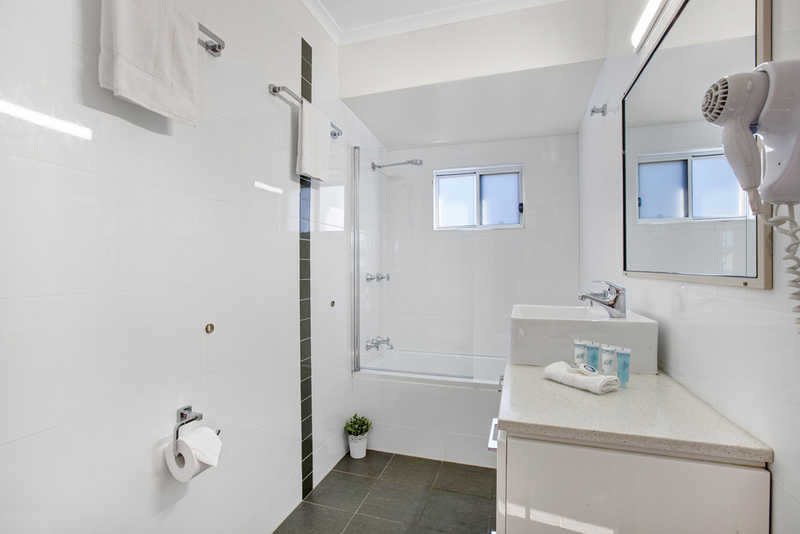 Bathroom – spa, shower and vanity, separate toilet. 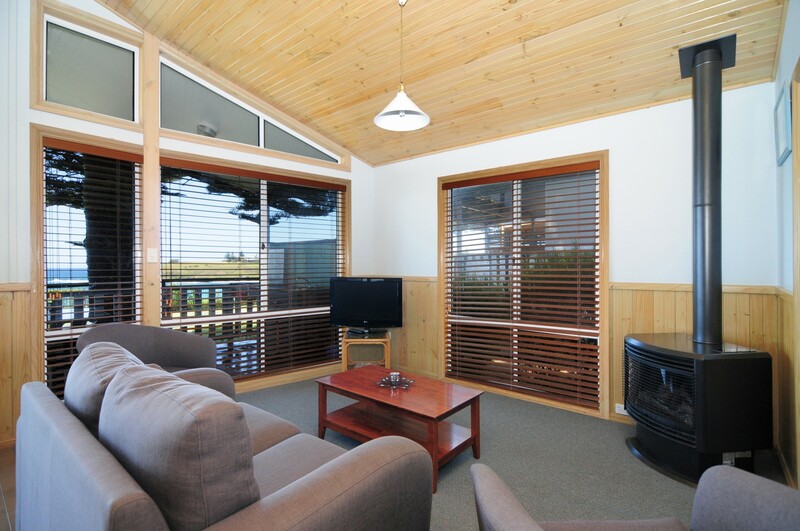 Lounge/Dining – two double lounges, gas fire, TV, video, round table (seats 5), ceiling fan, air conditioning. 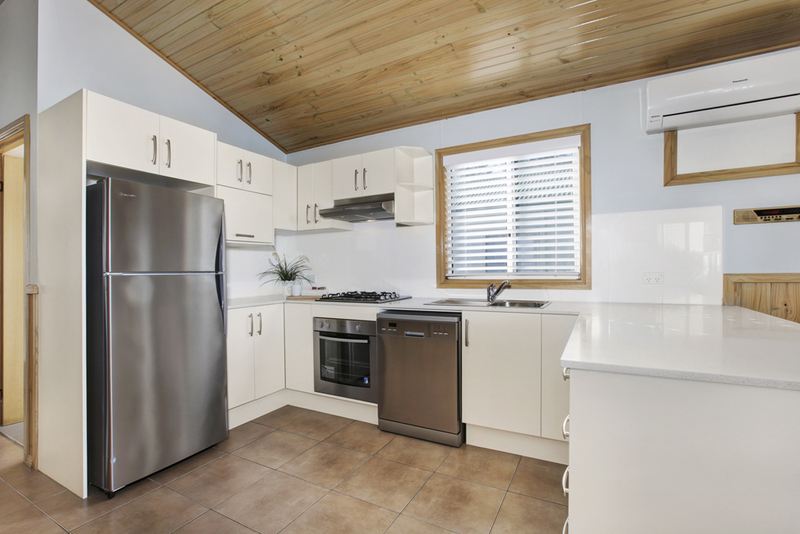 Kitchen – microwave, full size refrigerator, gas stove, oven, dishwasher. 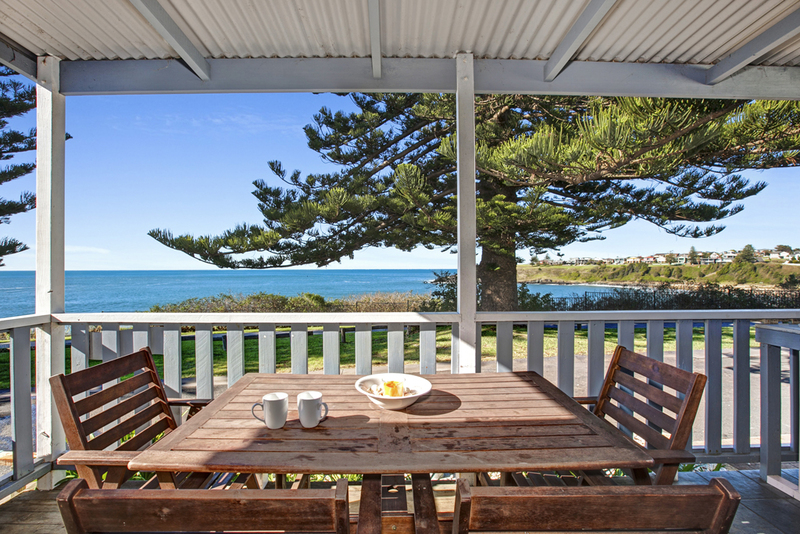 Balcony – table with 5 chairs, barbecue, sink. 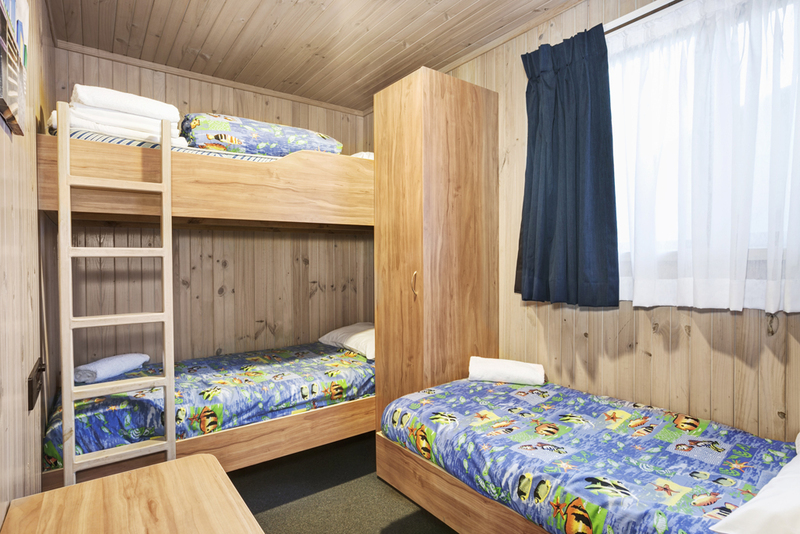 Three bedroom/ 2 bathroom cabins that sleep up to 8 people. 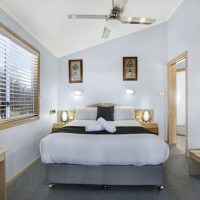 Main Bedroom with ensuite – king size bed, bedside tables, TV. 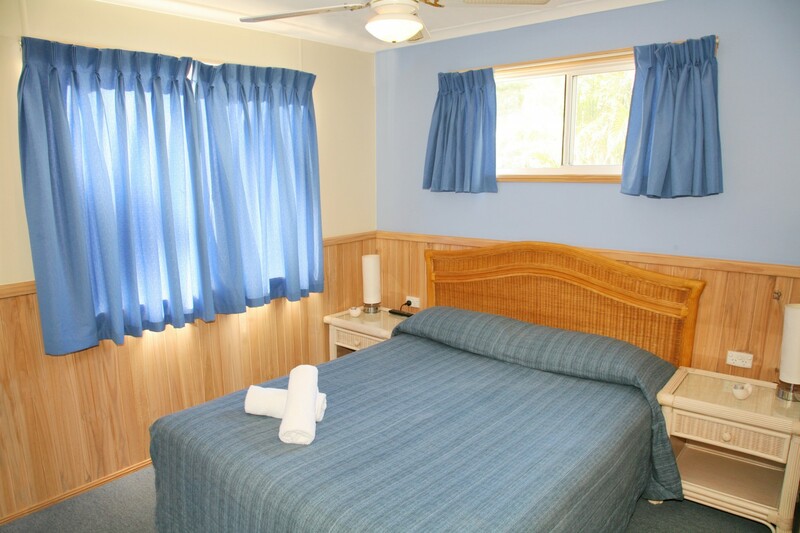 Second Bedroom with direct access to main bedroom, queen bed, bedside tables. 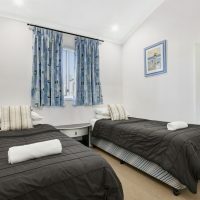 Third Bedroom 2 sets of bunks, wardrobeBathrooms – 1 bathroom has a single person bathtub spa with shower over, vanity, and toilet. 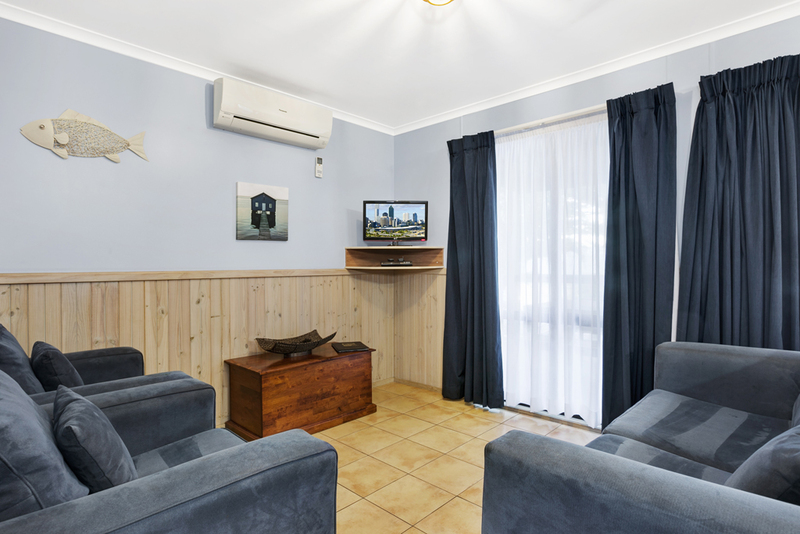 The other bathroom has a shower, vanity and toiletLounge/Dining Area –lounge, coffee table, TV, DVD player, air conditioner, gas log fire, large dining table and chairs to seat 8 people. 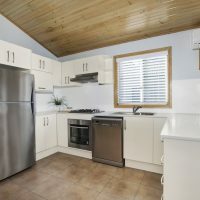 Kitchen – Full size refrigerator, microwave, oven, cooking, dishwasher, island bench –washer and dryer. 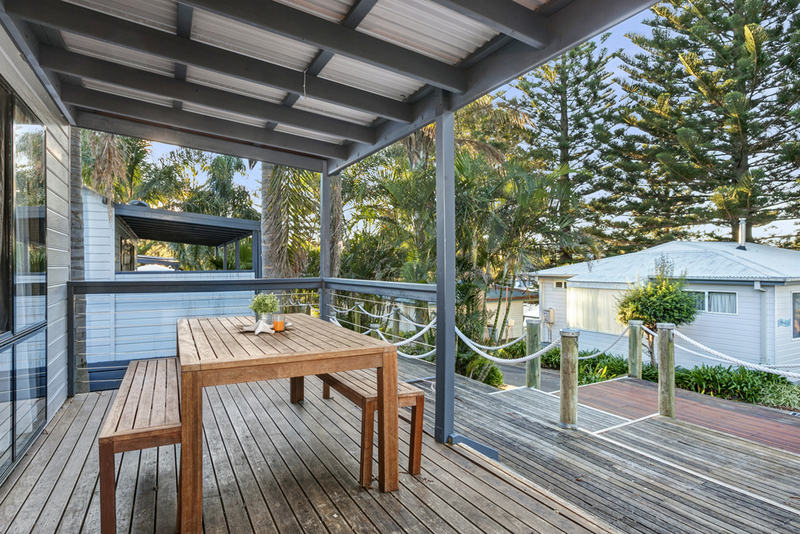 Balcony – outdoor seating and BBQ.